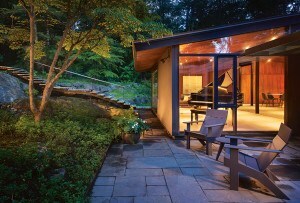 Held each year in April and October, the home-furnishings trade show is the largest in the world. 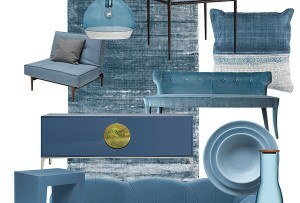 By Francesca Mills Purcell·	 4/19/2018, 8:58 p.m.
Just as style aficionados flock to the Big Apple twice per year to see what’s hot on the runways of New York Fashion Week, interior designers and architects travel to North Carolina’s High Point Market to experience the latest and greatest trends in furniture, lighting, textiles, and more. 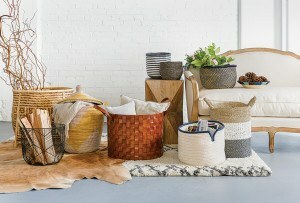 Earlier this week, the market hosted the spring installment of its biannual home-furnishings trade show—the largest in the world—welcoming some 2,000 exhibitors from more than 100 countries. 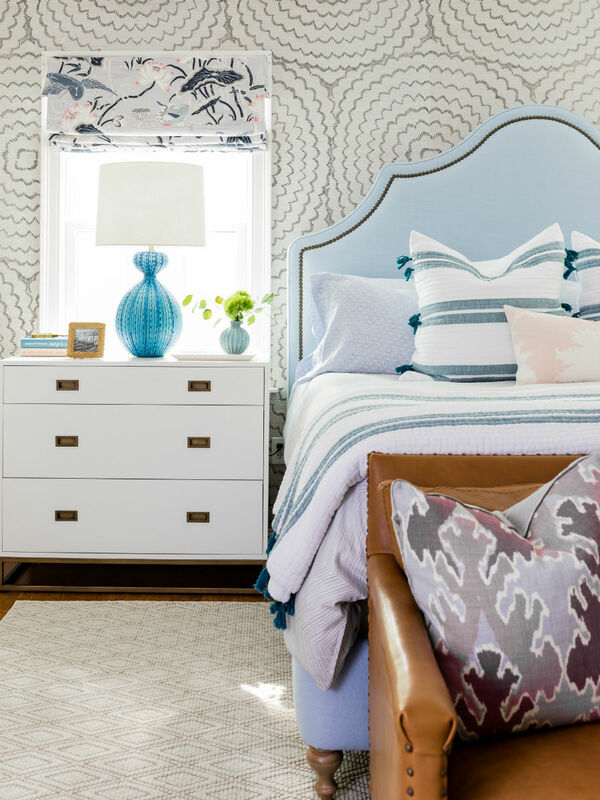 Interior designer Dina Holland, principal of Needham-based Dina Holland Interiors, says that one of the best parts about attending the 5-day event is discovering new vendors. 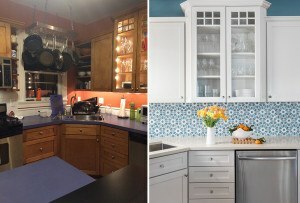 “I love wandering into a showroom or a booth that I have never heard of and discovering something I know that I will use in my projects,” she says. Here, Holland shares five takeaways from the show. 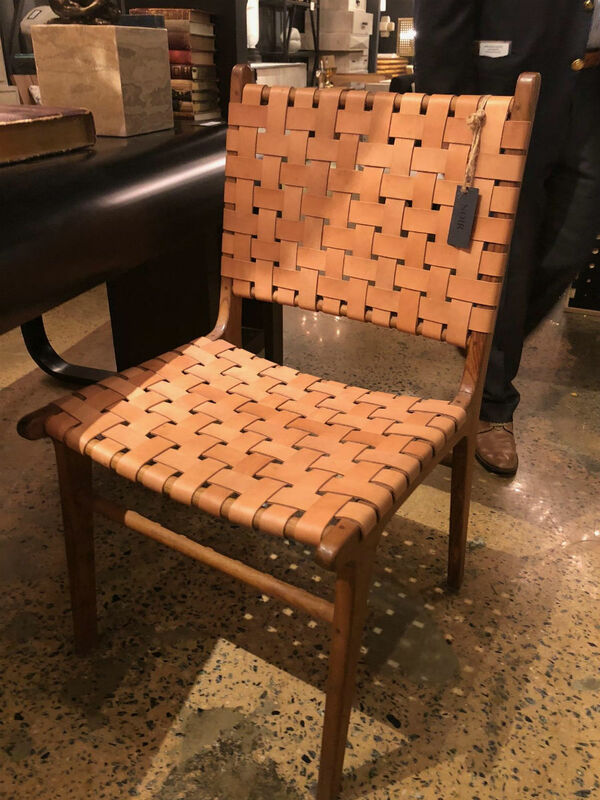 “Barao” wood and leather chair, $4803, Roberta Schilling Collection. 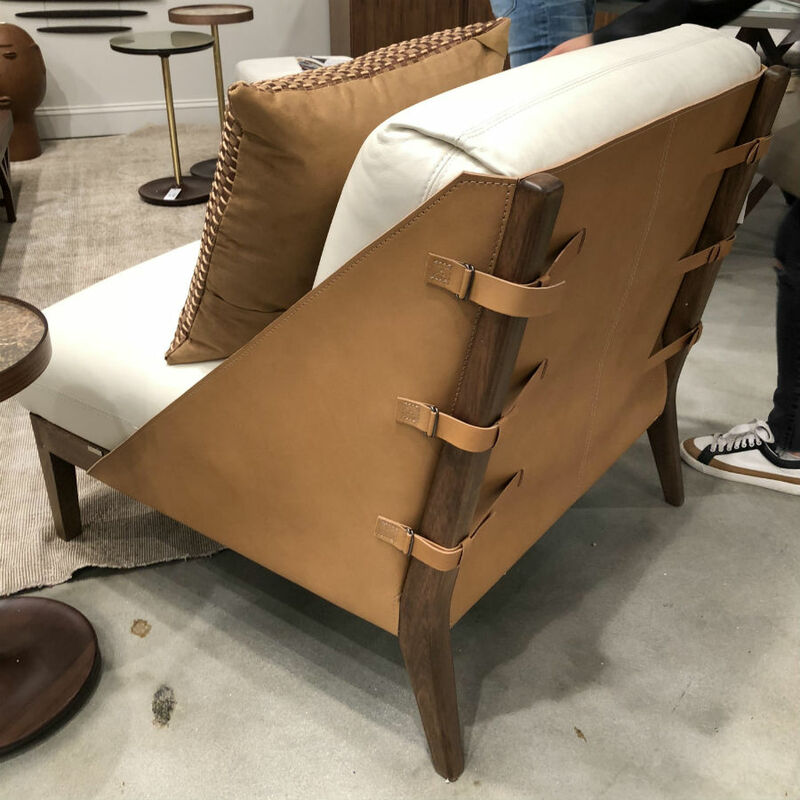 “Kamara” teak and naked leather arm chair, $ 864, Noir Furniture. 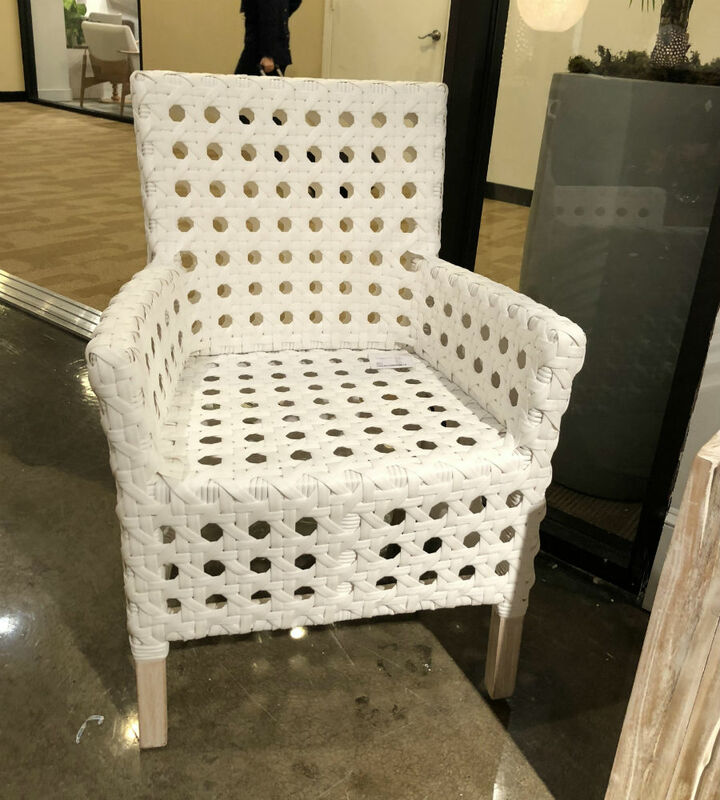 “Derby” plastic caning arm chair, $340, Jeffan. 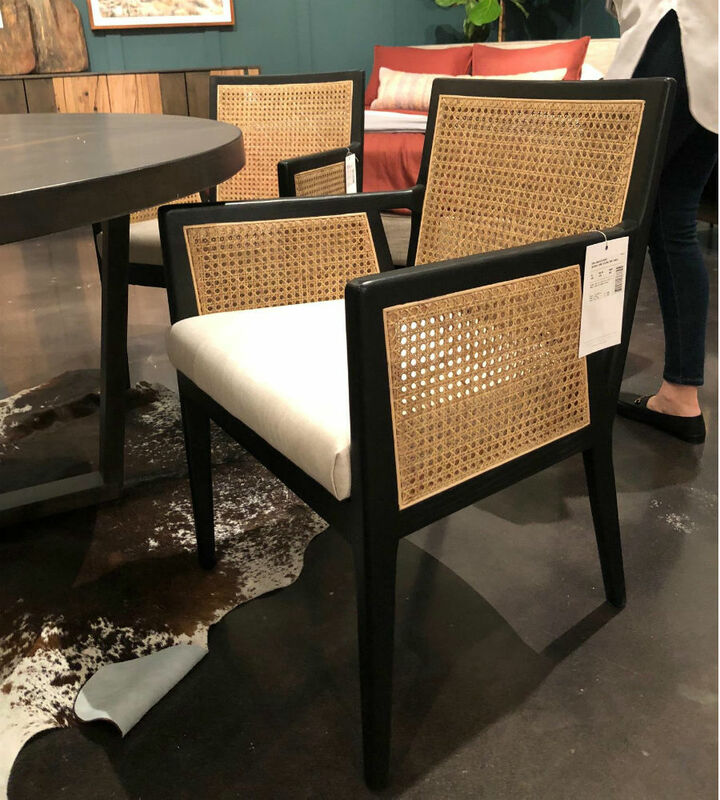 “Antonia” cane dining arm chair with black wood frame, starting at $550, Four Hands Furniture. 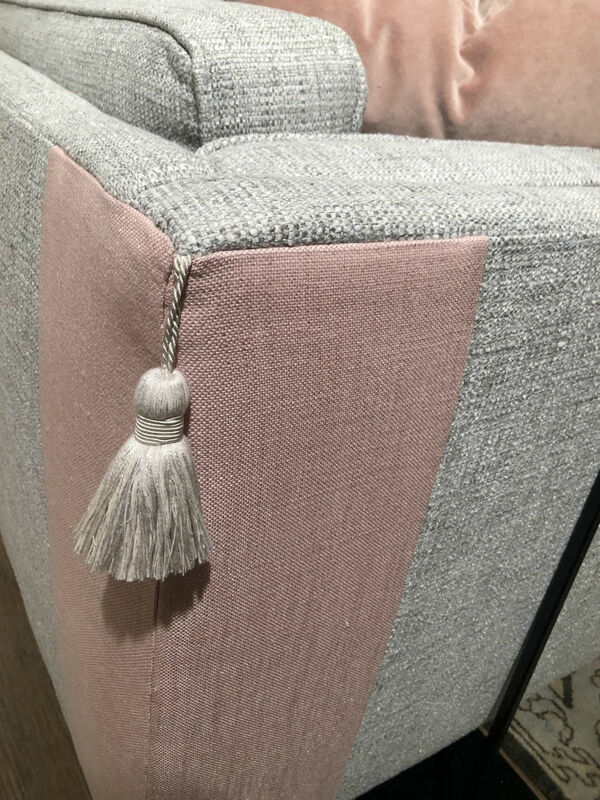 Customizable couch, price upon request, Norwalk Furniture. 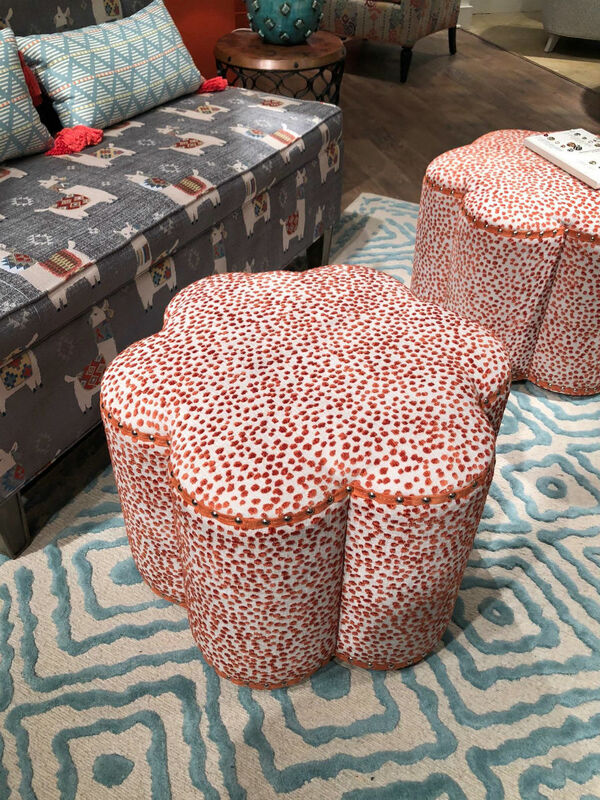 “Kate” ottoman, starting at $550, Norwalk Furniture. 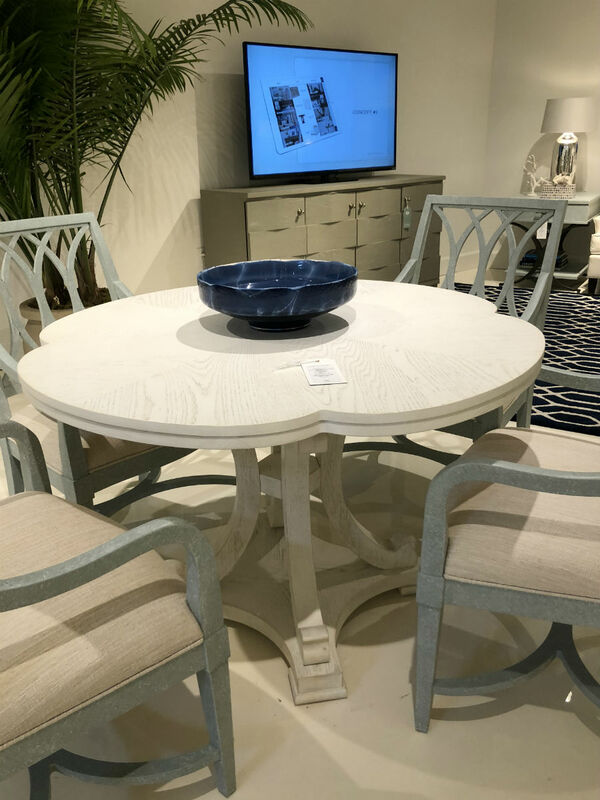 “Resort Seascape” wood table, $1,695, Stanley Furniture. 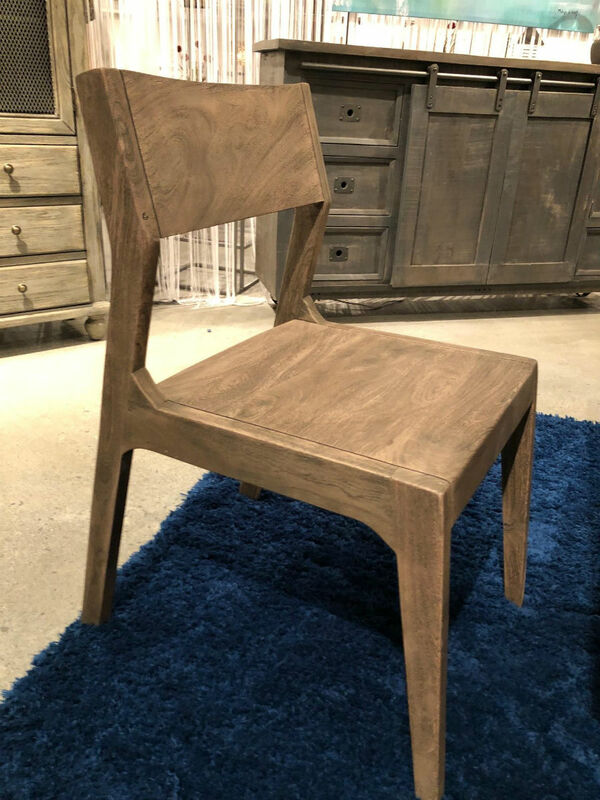 Cerused wood dining chair, starting at $370, Coast to Coast Imports. 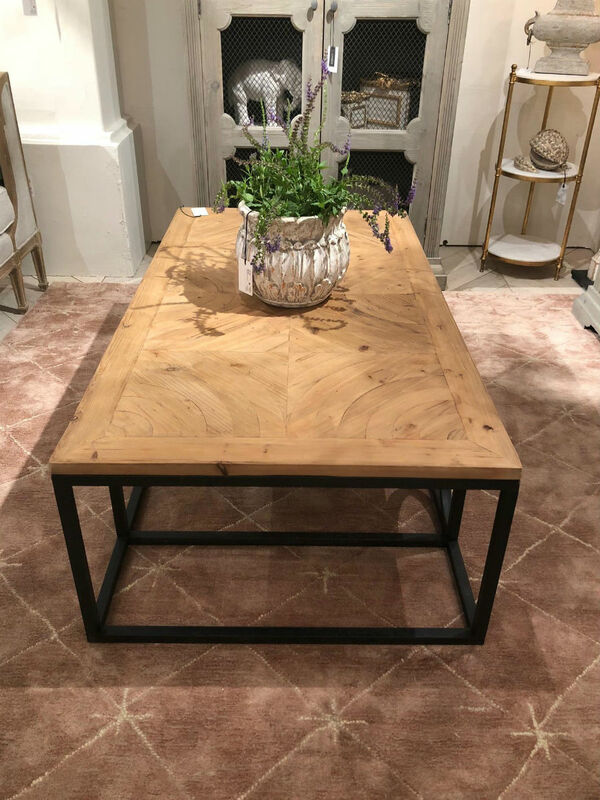 “Circle” parquet coffee table, starting at $1,800, Bliss Studio. 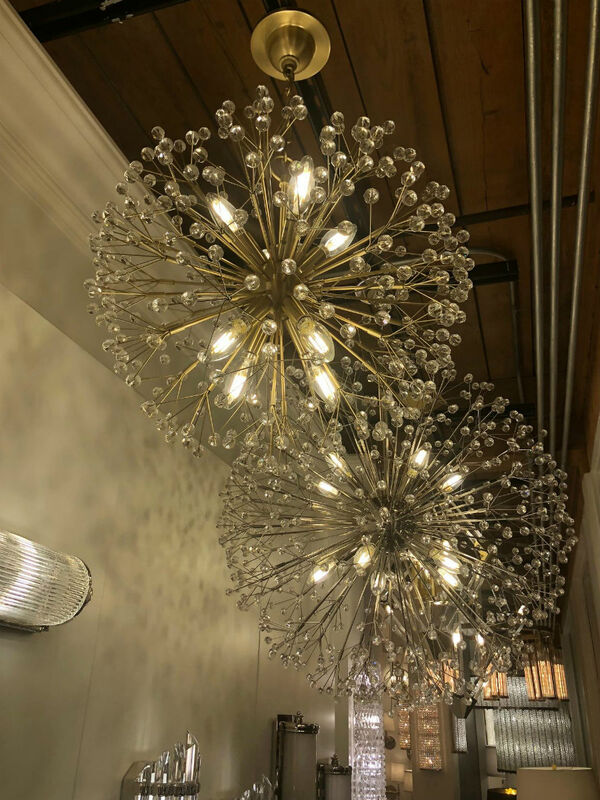 “Sphaira” brass chandelier, $1,578, Sterling Home. 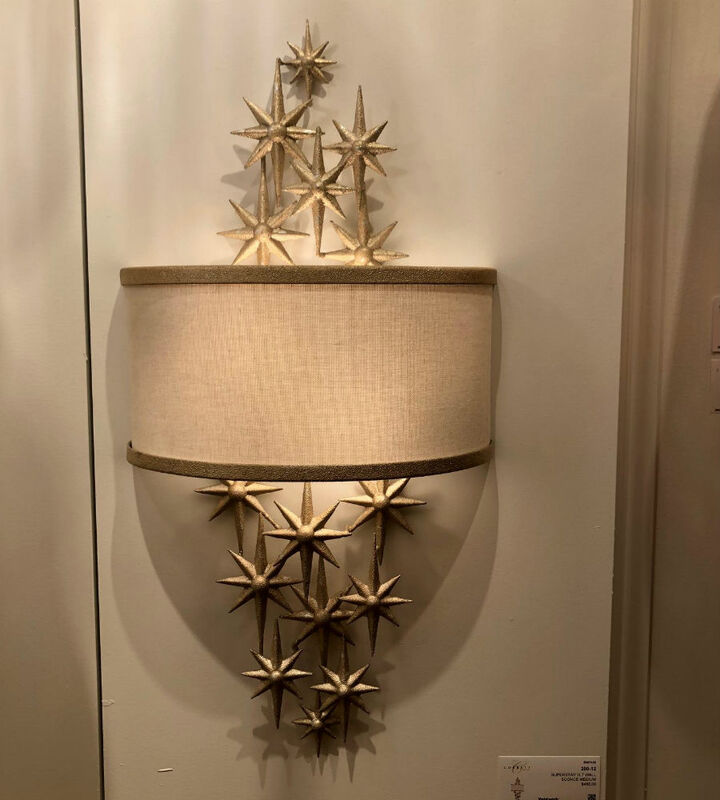 “Superstar” iron wall sconce with linen shade, $465, Corbett Lighting. 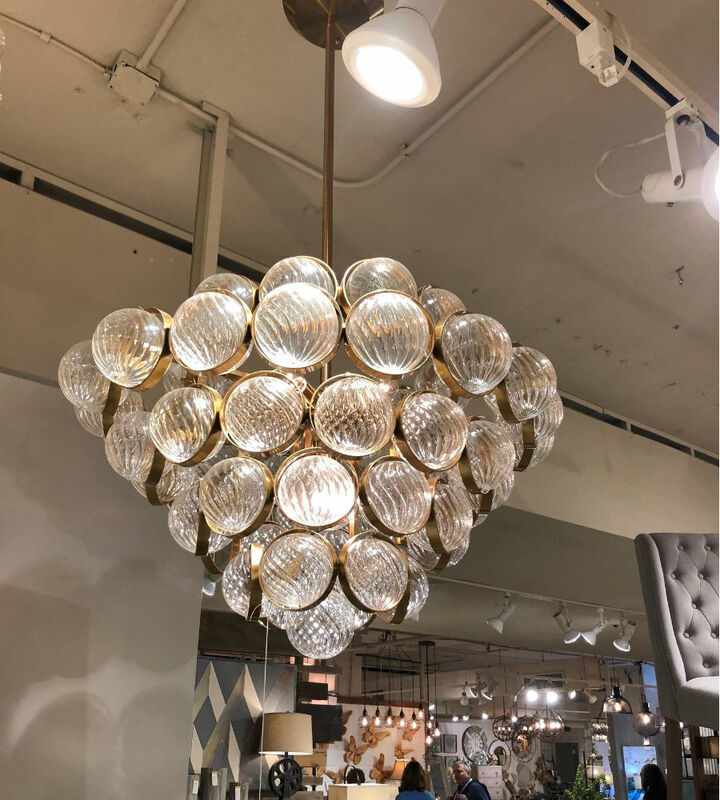 “Dunkirk” brass-nickel chandelier with crystal spheres, starting at $860, Hudson Valley Lighting.